If we never or rarely pray, what are we saying? Maybe that we are Christian atheists, unbelieving, like I mentioned last week? It is not enough to believe intellectually that Jesus is God and that he died on the cross and rose again for the forgiveness of our sins, we also show that our faith is real by the choices and actions of our lives. Persistent prayer is an action that shows our faith is real! I see this as referring to both personal prayer and corporate prayer. Each one of us should spend time in prayer, just as Jesus did, so often alone. And we should gather together as a church to pray, as the apostles did when the church was just beginning. In Acts 2:42-47, we read that the church was committed to prayer. What does it take to sustain consistent prayer? Yesterday at Faith Church we heard Jesus tell a story about how we should pray and not give up. What will it take to grow our practice of prayer, both the focused times of prayer, as well as a conversation with God all day, as well as a commitment to corporate prayer? Time of crisis can drive us to prayer. Remember the days after 9/11? Churches were full. Government officials prayed in public on the steps of the Capitol in Washington, DC. Another more personal example of how times of crisis can lead to prayer might resonate with you because it is about dating. Remember that anxious excitement you felt when you were getting close to a potential date? You’re hanging out a lot, really enjoying one another, and you’re thinking this might become a serious relationship! One couple from Faith Church told the story of their first moments of dating. They were getting close, but they wanted to be sure they were right for each other. So they had a couple days of nervous prayer when they asked God, was this right? It might be a huge need in your life, it might be something small. But what happens when the crisis passes, when the need is met? So often our practice of prayer fizzles away. How can we sustain a vibrant, consistent prayer life? What could it look like to have a vibrant, consistent prayer life? We need, first of all, to believe that it is important, that it is valuable. We do what we believe is valuable. Have you heard of the Tyranny of the Urgent? It is the principle of life that the Urgent crowds out Important. We can evaluate our lives and see how much time we give to social media, to TV, but we say we don’t have time for prayer. What is really important? For me it took a course in college on prayer tot opened my eyes to the importance of prayer. Second, remove busyness. There are moments, and maybe your life feels like this, when you are on the go sunup to sundown. When you are young, though you feel busy, don’t allow yourself to believe that you don’t have time. “Remember your creator in the days of your youth,” says the writer of Ecclesiastes. Third, don’t give up. Like the persistent widow, we do what we value. We might say that we believe in prayer, that we value it, but so often our belief is just intellectual. If we say we value prayer, but rarely pray, what do we really believe about prayer? Our actions speak louder than words. Fourth, remove hindrances to prayer. Ask people in your life to help you see those hindrances. Ask the Holy Spirit to show you those hindrances. Are you prideful? Do you need to increase your faith? Do you have broken relationships? How do we measure success in ministry? This is really personal for me, thinking about the power of prayer. Prayer is saying to God, “Work in your power through these situations.” He alone has the power, the true power. As Christians if we say we believe that God alone is powerful, and not we ourselves, but we do not pray, we are like Christian atheists. How do we show that we Christians believe that God exists and that he alone has the power? I need to apply this to my pastoral ministry, to the church. But it can be applied to your work, to your family, to any way you serve the Lord. For me I have to ask, should I just do the tasks of ministry: sermon prep, email, phone calls? I have to ask, where is the power in ministry? The power of ministry is remaining in Jesus. A significant way to remain in him is a persistent, consistent practice of prayer. As I think about how Faith Church pays me to be pastor, based on what Jesus says, the church’s money is best spent if I am spending ample time praying. This reminds me of something the Apostles said in Acts 6. The events of Acts 6 take place when the church was in its infancy, likely within the first few months or years after Jesus had returned to heaven. The church had grown significantly, possibly into the tens of thousands in number. At one point, we learn in Acts 6, that the Apostles faced a logistical crisis in their church’s ministry of providing food for widows in need. Rather than spend time on that problem, they selected quality leaders to make sure people were being treated fairly. You know what the Apostles’ reasoning was delegating this ministry and not handling it themselves? They said they needed to focus on the ministry of word and prayer. But I have to admit to you that I have been weak in prayer. I want to make a change and prayer more. One idea I had was to try to take prayer walks around the building of Faith Church, praying for the various people and ministries of the church. Prayer is the engine of the church. Let us measure our church not on Sunday morning attendance, but on how much we are praying! Brooklyn Tabernacle regularly sees 75% of its Sunday morning crowd attend prayer meeting. Does your church have a prayer meeting? Have you considered it to be antiquated? Perhaps you will reconsider! What do you need to do to increase your practice of prayer? Do you need to spend more time praying? Less time doing other things? More time trying to have an ongoing conversation with God? Let’s avoid Christian atheism by being persistent and consistent in prayer. I need to make a confession: I have been weak in prayer lately. Does that make me a Christian atheist? What I mean is that for the past number of years, five or so, I haven’t prayed much. I lead Faith Church’s weekly prayer meeting, we pray before Serve Team and Leadership Team meetings, and I go to my local ministerium’s monthly prayer meeting. My family prays before meals and bedtimes, but personally, privately, I don’t pray much. Some people would say Christians who don’t pray much are Christian atheists. It wasn’t always that way for me. I really had my eyes opened to the importance of prayer in college. I took a course on prayer, taught by my wife’s father, though he wasn’t my father-in-law at the time. We not only read great books about prayer and studied what the Bible says about prayer, including the great prayers in the Bible, but we were also required to pray. It was right there in the syllabus. This course that I was paying a lot of money for was requiring me to pray. And if I didn’t pray, I would get a bad grade. When have you ever taken a course like that? What’s more, in class we often spent time in prayer. And my eventual father-in-law held prayer retreats that students could volunteer to attend. They were not part of the class requirements, but we were encouraged to go. Over those weekends, we would spend long sessions in intercessory prayer. For the class, our daily prayer requirement was 30 minutes. We would then have to record our time and turn in our records for a grade. This was based on the honor system, of course, but can you imagine lying about how much you prayed? That was an irony I didn’t want to touch. So with money and a grade on the line, I endeavored to pray. I will never forget that first day attempting to hit the 30 minute mark in prayer. I was taking the course during the fall semester, so after soccer practice, I ate dinner, got a shower, and collected my gear. I brought my Bible, a notebook, pen…and my watch. It was a gorgeous late summer evening, so I wandered outside my dorm to find a secluded spot on campus behind the library. I decided that I would try to employ some prayer methods that I had learned, such as ACTS, which is an acronym for Adoration – Confession – Thanksgiving – Supplication (a fancy word for prayer requests). I began praying, “Dear Lord, you are an awesome God…” and off I went, praying through each section of ACTS. I confessed my sins, I thought of ways to be grateful to God, and I prayed for everyone and everything I knew. I was doing it. I was praying more than I had ever prayed in my life. And it was great. I have to admit that I was really intimidated by this assignment. Thirty minutes seemed like an eternity to pray, and to think that I had to pray that long every day for an entire semester was daunting. But after this first day, maybe I was wrong. This might not be so bad. That is until I looked at my watch. Five measly minutes had gone by. I was in shock. I thought I had been talking with God for at least 15 or 20 minutes. But only five? That was a dose of reality. I was totally prayed out. What more could I possibly pray for? In class we were studying people that prayed for 3 hours nonstop every day. And there I was emptied of prayer in five minutes. I had a moment of frustration. But then some people came to mind. I had forgotten to pray for some friends from high school. So I prayed for them. One thought sparked another, and more people to pray for entered my mind. I then got out my Bible and started praying about Scripture that I read. I admit to glancing down at my watch a good bit too. I don’t think I prayed 30 minutes that day, but as the semester wore on, I was amazed at how I eventually hit 30 with regularity, and soon 30 was not enough! So why am I having such a weak prayer life now? And what about you? How would you rate your practice of prayer? Christians who don’t pray are like atheists, it is reasoned, because they don’t show faith in God through a vibrant practice of prayer. In college I distinctly remember how deep my faith in God was, in large part because I prayed so much. I maintained that practice of 30+ minutes in prayer daily almost my entire college career. I even prayed a good bit after graduating from college, getting married, and starting full-time work. But ever so slowly, my practice of prayer dwindled. I had read and really believed in the message of the book, The Practice of the Presence of God by Brother Lawrence. I think he is onto something, a method for following Paul’s teaching in 1 Thessalonians 5:17, where Paul says “pray without ceasing.” Brother Lawrence had a nonstop conversation with God all day long in the monastery where he served in the kitchen. In fact he stopped attending set prayer times because he felt they interrupted his conversation with God! So I thought that I could be like Brother Lawrence. I didn’t need set prayer times, as I could just learn to converse with God all day long too. Except that I didn’t. I might have periods of weeks or months where I returned to a healthy practice of prayer. But never for long. Never like those college days. 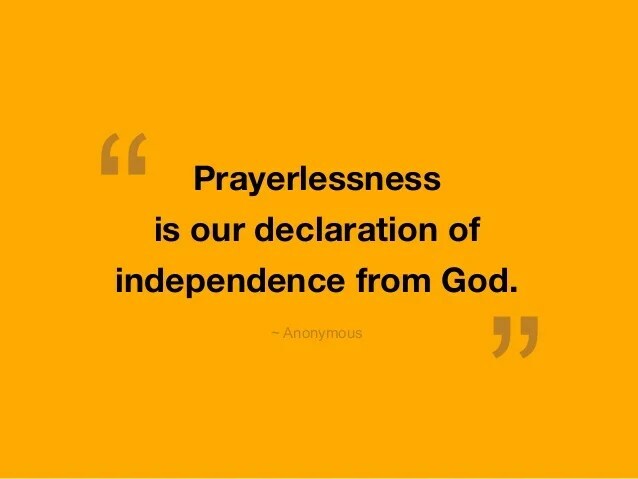 And much more often than not, I have long periods of prayerlessness. I’m not happy about this, and I want to change. I believe that both set prayer times and a continual conversation with God can be very healthy practices to avoid Christian atheism. This coming Sunday as we continue studying Jesus’ Words, Works and Way in Luke, he is going to tell some stories about prayer. He was a great example of a healthy practice of prayer, as we have seen many times in Luke. Now he teaches about prayer. And he has some really important instructions for how we can grow our practice of prayer. Join us at Faith Church Sunday as we talk more about Luke 1:1-17 so that we can learn how to avoid being Christian atheists. The end is near! Remember the predictions of the end of the world that we’ve had in recent years? There was the mayhem of January 31st, 1999. Even if the apocalypse didn’t hit the earth when the clock struck midnight (and of course that was going to be in the Eastern time zone! ), remember the widespread fear that the computers were going to get screwed up because of the change-over from the 1900s to the 2000s, and the planet was going to shut down? But it didn’t happen. Then it was Harold Camping saying May 21, 2011 was the day Jesus would return. Remember that? People went pretty wild about this. Some of Camping’s followers dumped their whole life savings to go around the country in mobile homes plastered with doomsday messages. Camping’s ministry bought billboards all over the country. “The Bible guarantees it,” the signs said. When May 21 came and went, he admitted he made a mistake, but now he had it right. The big day was now going to be October 21, 2011. But 10/21 came and went with no end of the world. 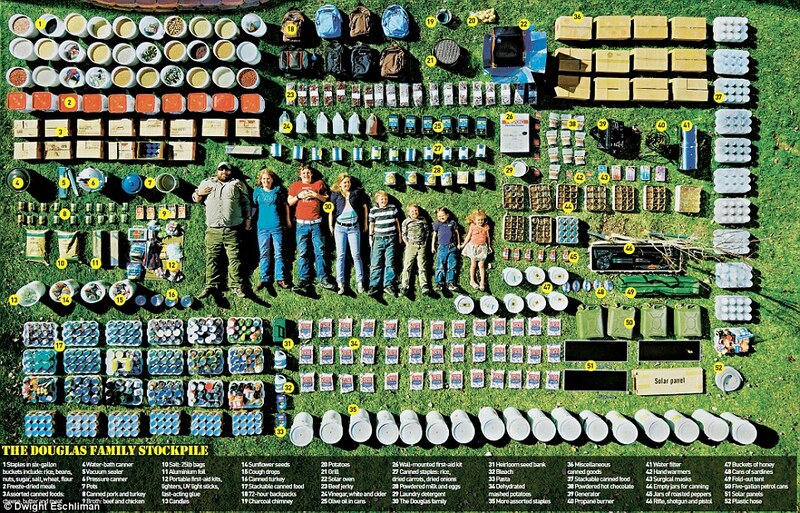 One of Camping’s employees estimates Camping spent $100 million (mostly from the sale of property) on advertising the end of the world. Throughout his life, Camping actually made 10 different predictions. All wrong. Then the end was supposed to be Dec 12, 2012! Remember the Mayan Calendar, which supposedly predicted this? But, nope, we got that wrong. Or maybe the end would come in 2014? Ancient Norsemen predicted Ragnarok, which translates into “doom of the gods,” would take place on February 22, 2014. Nope. Then some scholars said that all the hubbub about Mayan calendar in 2012 was wrong because of a misinterpretation. Now they said, the correct interpretation of the Mayan calendar reports that the world would end on May 15, 2015. Uh, no. Wrong again. Ok, so that was kind of a joke, as it was part of a fictional movie. The point of all this is that there have been a lot of end of the world predictions lately, and they can leave you feeling stressed or anxious. I am a fan of the band REM, and one of their songs gets played often around these end of the world predictions. Remember this song? It’s the end of the world as we know it, and what? I feel fine! Before we read what Jesus has to say, is it possible that not one of us knows with certainty if we are living in the end times? We look at what is happening in the world, and the news from around the world sure makes us wonder. We get iffy when we hear about Russia invading Ukraine. When we hear about ISIS beheading Christians. Recent bombings in Syria. The internet, talk of people being implanted with computer chips, drones in the sky and so on. I could go on and on. Despite all that, though, we do not know if we are living in the end times. That’s right, it is possible to feel fine even if it is the end of the world. I think REM was actually on to something. You might be thinking, “How could we feel fine if it is the end of the world? That’s an awful thought!” Well, that’s a good question. I agree that the end of the world is a terrible idea. But maybe it is possible to feel fine about it. Join us at Faith Church on Sunday morning to find out why. We’ll look at what Jesus has to say about feeling fine at the end of the world in Luke 17:20-37. Quick trivia question: which Olympian is the record holder for the most Olympic medals of all time? Michael Phelps is the correct answer, which if you didn’t know already, you probably guessed by the title! When I watched Phelps swim in previous summer Olympics, I thought, he has a freakishly long torso. And he’s not this huge body-builder type. Instead he seems like he has a God-given body for swimming superiority. Anyone else every notice that? Well, it has made the news. And because he has done so well, scientists have taken notice. It got me thinking about how perfect it is for Phelps that he got into swimming then. How many other people with bodies suited for swimming or some other sport never got into swimming? Maybe there are people with better-suited bodies than Phelps? It is amazing that not only does he have an amazing body for swimming, but that he got into swimming! It’s almost not fair for the other swimmers. My thoughts were dashed by the scientists. You know what they said? Sure his body might be better suited for swimming, but the actual advantage would be so minute as to be negligible. In fact, they suggested that his double-jointed ankles could be a disadvantage, when it comes to force and power in his kick. You know what they said is Michael Phelps’ reason for success? Almost entirely his training. His insane training regimen is also the stuff of legends. If you want to get your body operating at premium athletic levels, you have to fine-tune it with a commitment to daily habits. Just like Olympic athletes, are there habits or practices that disciples of Jesus should be known for? The answer is a resounding “Yes!” Jesus gave us habits, practices that he wanted us, his disciples, to follow. Some of them we learn by just watching him. Then we do what he did. What did he do? In Luke we have seen him regularly getting away from the crowds, spending time alone in prayer. We have seen him make disciples. So prayer and making disciples are two things he did, and thus they are two practices that we must do. How are you doing in those areas? Don’t cause people to sin, confront sin, be forgiving, have great faith, serve dutifully, be grateful. Are you excited for the Olympics in Rio this summer? Already you have probably been hearing about athletes who are training for the summer Olympics in Rio. I am really looking forward to the Olympics, as I always enjoy watching the competition. It is awesome to see what these athletes can accomplish, and it is a blast cheering for them. To get to that high level of performance, Olympians train, and train and train. They have many practices, many habits they follow in order to perform athletic feats at a world-class level. Olympians have habits that regulate their eating, drinking, sleeping, free time, not to mention the cardio training, weight training, and training for specific athletic events. We’ve talked a lot lately about being disciples and making disciples. Disciples make more disciples. But whether you are thinking about yourself, how you can grow more as a disciple of Jesus, or whether you are thinking about how to help other people grow as disciples of Jesus, we need to ask “What should a disciple of Jesus do?” Just like Olympic athletes, are there habits or practices that we should be known for? The answer is a resounding “Yes!” Jesus gave us habits, practices that he wanted us, his disciples to follow. Some of them we learn by just watching him. Then we do what he did. What did he do? In Luke we have seen him regularly get alone for times of prayer. We have seen him make disciples. So prayer and making disciples are two things he did, and thus they are two practices that we must do. How are you doing in those areas? But there are other important practices that we disciples of Jesus should learn. He specifically teaches a number of them. As we continue our teaching series through the story of Jesus’ life in the book of Luke, we come to Luke chapter 17, verses 1-19. In this passage, Jesus teaches his disciples six practices that they should incorporate into their daily lives. So what are these six practices? Read ahead, and you are welcome to join us at Faith Church this coming Sunday to learn more! My sermon yesterday tried to address that question. We have been studying the life of Jesus as told in the Gospel of Luke, and the sermon was about a really bizarre parable he told in Luke 16:19-31. Before you read any further, I urge you to read the parable and see if you can discover any details that depict heaven and hell in surprising ways. 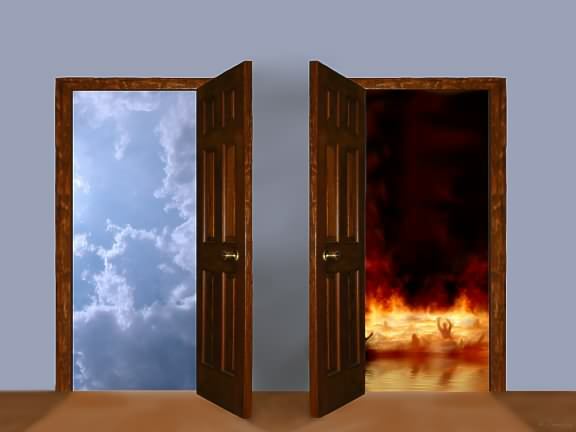 There is a wide chasm between heaven and hell that is so huge you can’t cross it, but it is not so big that you can’t see across it or have a conversation across it. And people in heaven and hell can see each other and talk with one another. When the die, people are carried by angels into heaven. People in heaven could possibly go back (be raised from the dead) and influence people on earth. Is he for real? Is Jesus using a literal approach to his teaching? Did we just get a lesson in how heaven and hell/Hades work? I highly doubt it. Actually, it seems much more feasible to understand Jesus teaching a larger principle that is based in this metaphorical story. It is possible, scholars tell us, that Jesus is a story form that was commonplace in his day. It seems Jesus is using a familiar story form like that, adapting it to his purposes. And what does he teach us through this metaphorical vision of heaven and hell? First, Jesus is once again trying to address heart attitude. Compassion for the poor. Being concerned for the position of others. Not following the letter of the law, but the heart of the Law. Having eyes that see the neighbor who needs help shoveling snow. Getting involved in community efforts to alleviate poverty in our school district. I continue to be so proud of Faith Church in this regard. Not only do we collect food in our lobby for the food bank at Conestoga Valley Christian Community Services, but we have people who volunteer there every single week. Some are loading food bank shelves, some are working with food bank clients, helping them select groceries. Some are preparing Weekend Blessing bags of food that go out to over 150 children in our school district. Some are delivering food from Faith Church to the food bank. Some are delivering boxes of weekend blessings bags to our schools. Remember what Jesus says in Luke 14:11? “Everyone who exalts himself will be humbled and those who humble themselves will be exalted.” I see that in action in the people of Faith Church so often! It’s a beautiful thing. Next, the parable teaches about the finality of life. The men in the story made choices in their lives, and they were sealed in eternity. I wish I could tell you exactly how this works. The Bible is not precise. You might respond by thinking “Well, maybe it happens exactly like this parable suggests?” Maybe, but I would say unlikely. There are too many other passages that speak about eternity differently. What does happen then? Well, one day after we die we each will find out. But I don’t want to leave you in the dark. The Bible teaches that we can be ready for eternity. So I urge you, choose the way of life, which is the way of Jesus. If you are not as certain as what John writes, then I would love to talk with you. Likewise, eternity is not something that just randomly happens after death. What this parable teaches is that eternity happens now. Did you see how the life choices of the rich man and the beggar impacted their life after death? Eternity starts now. Our life choices now impact life after death. This seems to be the heart of what Jesus said in the Lord’s prayer when he prayed “Lord, your kingdom come, your will be done on earth as it is in heaven.” Jesus wanted his disciples to understand that they could live out the Kingdom of God in the here and now. Maybe not perfectly as it is in heaven, but they could strive for ushering God’s Kingdom into the here and now. Disciples of Jesus are people who have the privilege of ushering God’s Kingdom into their lives now. As you move and live and breathe in your world, you have the wonderful privilege of taking God’s Kingdom with you. At work, in your neighborhood, in your school, in your homes, wherever you are, you are an agent of the Kingdom of God. You are seeking to infect all of your surroundings, all the people you come in contact with, with the gracious, joyful, abundant life of the Kingdom of God. Thirdly, then, this parable is an illustration of how to bring the Kingdom of God into the world we live in now. Last week we saw that in verses 16-17 that Jesus is talking about the Law and Prophets. They come up again here in the Parable as Abraham says that the rich man’s brothers can learn about what to do in the Old Testament, the Law or Moses, as he says it, and the prophets. Jesus is giving a bit of indication, as he did in verses 16-17, that saw within the Old Testament something of great value. In this case, the OT has plenty of important things to say about human relationships, about what it means to pursue righteousness in relationships, especially in loving one another. Remember what Jesus would say in another place about the most important commands in the OT? Love the Lord your God with all your heart, soul, mind and strength, and Love your neighbor as yourself. This is why the mission statement of Faith Church is Loving God, Loving People. If you could summarize the teaching of the Bible into four words, Jesus tells us that is it. The brothers, the rich man tells us, would not listen to the Word of God. They have major issues. He thinks, however, that they will respond to a radical sign, a resurrection. But Abraham’s response in verse 31 gets us to Jesus’ fourth main idea in the parable. If their heart is hard, they won’t even respond to a resurrection. The issue is the heart, and that is the fourth teaching in the parable. I want to ask you, then, who is your Lazarus? Put yourself in the role of the rich man? Not that you are rich. But put yourself in a position to serve, to give, to love. Who is need around you? I heard again this past week how Sunday morning is the most ethnically segregated place in America. My school district is at least 25% populated by ethnic minority, why do we not see that here in my congregation? Perhaps we need to do more to be at a place of readiness to see needs. Eyes wide open. Ready to serve in a moment’s notice. I recently heard a story from someone at our church who was recovering from surgery in the hospital. A guy walked into the room and introduced himself as cleaning staff. But this guy saw his life as much more than cleaning staff. He struck up a congregation with our church member. They had great conversation, and finally guy said “can I pray with you”, and it was a great encouragement to our church member. Can you remember a time when someone reached out to you when you were desperately in need? When the Lord put someone in your life to show interest in you, to encourage you? Didn’t that feel awesome? What could it look like for you to supply another’s need? Be willing to provide childcare for free. Mothers with young children could really use the help. A family from Faith Church who has an elderly neighbor lady, and she lives alone. A widow. Our church friends will have some extra dessert, which their neighbor lady loves, so they will take it over to her. Their loves are busy, so they want to drop the dessert off and get back to their tasks at home. But what the neighbor lady really wants is not dessert. She loves the dessert. But what she really wants to do is talk, and talk, and talk. So my church friends will often say to each other, “You give her the dessert this time,” knowing that the person who gives the dessert could be stuck there for a long time. Sometimes we need to give ourselves in what has been called ministry of presence. The way to care is to be there. To give of yourself. Give of your ears, your eyes, not thinking about what you are going to say next, think next, or eat for lunch. Just being there for people, to listen to them can be so powerful. I learned of a counselor who said “I think people pay me to be their friend.” Lots of people come in and sit there expecting her to fix their problems. But she waits. Eventually they start talking. And they realize that in her they have a found a person who will truly listen. Finally, are you ready for eternity?